:: This is a blog post about audience awareness, and how it can be screwed up so badly. The image above is of the first page of the tutorial. I wanted to stop reading right there. The first thing I thought after reading this welcome screen was this: “Is this tutorial teaching people about the legal history of OSHA communication rules? Why? (Because who cares? 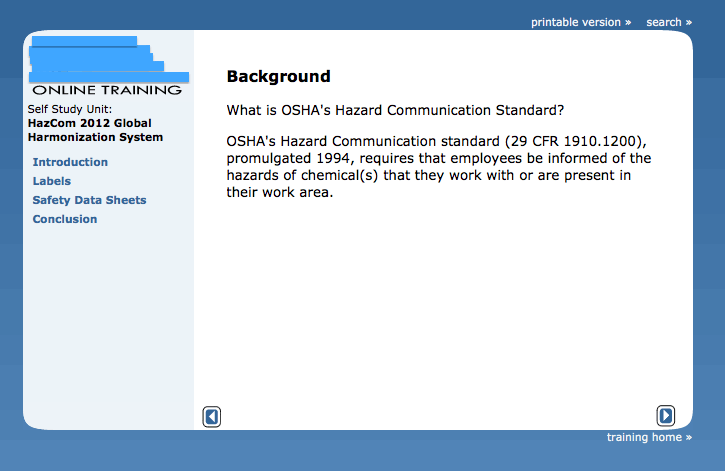 )” After all, the screen states, “What is OSHA’s Hazard Communication Standard?” and proceeds to talk about something passed in 1994 and provide a complicated legal citation etc. Here’s the thing. When an employer conveys gobbledegook like this to its employees, the gobbledegook gets in the way of the very safety information that the employee needs to learn. A worker who relies on chemical labels to stay safe on the job needs this information to be safe. For this reason, training tutorials must be written plainly. Check out that great tagline: “The standard that gave workers the right to know, now gives them the right to understand.” Excellent intention, poor execution. 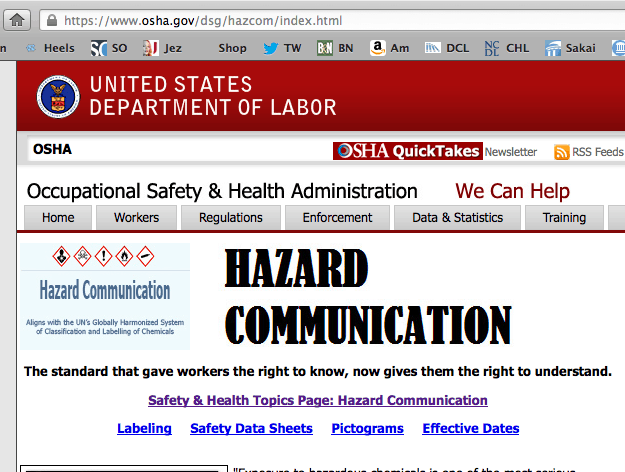 Even OSHA’s Hazard Communication web page is difficult to read. 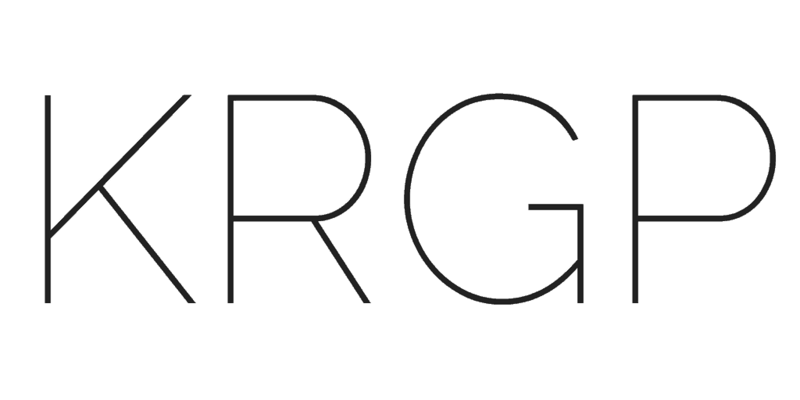 The page has a poor design, including multiple fonts and font sizes, unpredictable boxes and columns, and interminable length. So, my discovery of this web page made me wonder about the process of crafting of tutorials like the one I’m reading today. 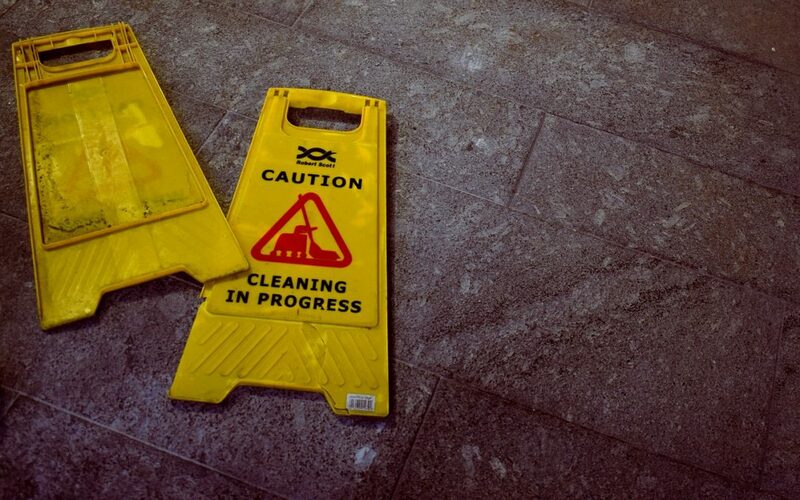 These safety tutorials—which are important documents—are crafted by folks who are most certainly experts in OSHA regulations and terminology. And these experts gain their expertise from OSHA itself, from the government experts who craft these regulations in the first place. And what happens next is this: a tutorial like the one I’m reading gets created by insiders, who seek to share insider knowledge—and here’s where things fall apart—to an audience that is an insider audience. This misunderstanding of audience is the real problem. In order to understand this complex OSHA tutorial, one must already understand this complex OSHA tutorial. That is, one must already be an insider, an expert. The audience using this tutorial, the folks who really need this knowledge in order to stay safe on the job—they are outsiders, that is, non-experts in OSHA. And that includes me, a legal expert, who can actually understand all the jargon (e.g., “29 CFR 1910.1200“) and yet still be completely baffled by the purpose of the words on the page. This tale is yet another example of the moral imperative of plain government language.